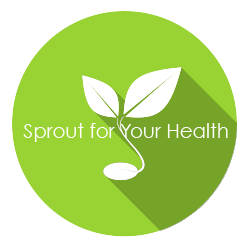 If you live in Central or South Florida there is a good chance that your sprouts were grown by Fullei Fresh, a grower of many varieties of fresh sprouts—bean, alfalfa, broccoli, garlic, clover, daikon, snow pea and sunflower sprouts—plus wheat grass. A combination of quality seeds, a state-of-the-art growing and processing facility, plus temperature control spanning growing, processing, packaging and shipment have produced sprouts of superior quality which have a long shelf life. Manny Wong, the CEO and owner of Fullei Fresh, also credits his concentration on product production for the the high quality of his products. Instead of selling and delivering sprouts to restaurants and retailers, his products are sold to wholesalers, distributors, and large retail chains, such as Whole Foods, Jamba Juice and Fresh Market, who deal directly with restaurants and consumers. Leaving daily contact with individual retailers to the wholesalers and distributors frees Fullei Fresh to concentrate on product quality and food safety. Manny Wong started his business in 1978 with his brother-in-law, Dennis Marr, to serve the Asian community in Florida with rice noodle, soy milk, bean and soy sprouts, etc. Read the full article to see how this small family business grew into a company that has sold more than 2 million pounds of bean sprouts and 200,00 pounds of alfalfa sprouts in 2017. Learn details about Fullei Fresh’s growing processes which result in a 30- 45-day shelf life for sprouts. Along the way you will see pictures of the growing facilities, employees at work and Manny Wong.